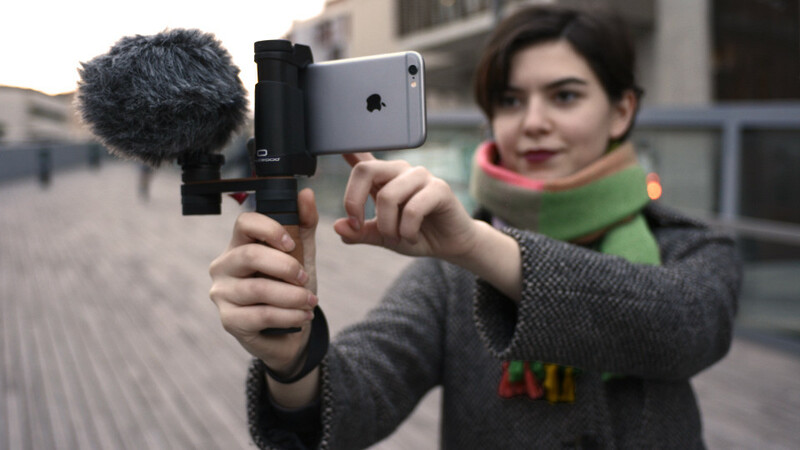 The R2 is a multifunctional and compact rig for adding external accessories to your smartphone camera. 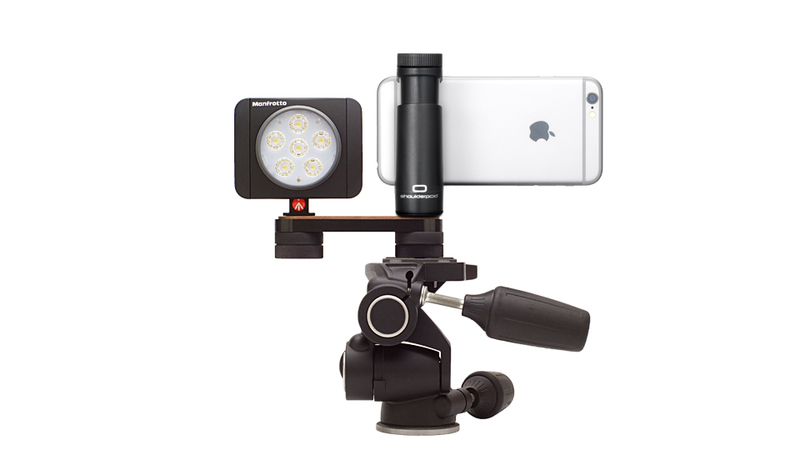 A modular solution for taking your photo and video studio wherever you go. The R2 kit includes our standard G1 grip. An adjustable clamp for holding almost any smartphone model with or without a case. The G1 expands from 48 to 93 mm and tights your device securely thanks to its thumbscrew mechanism and wide rubber pads. 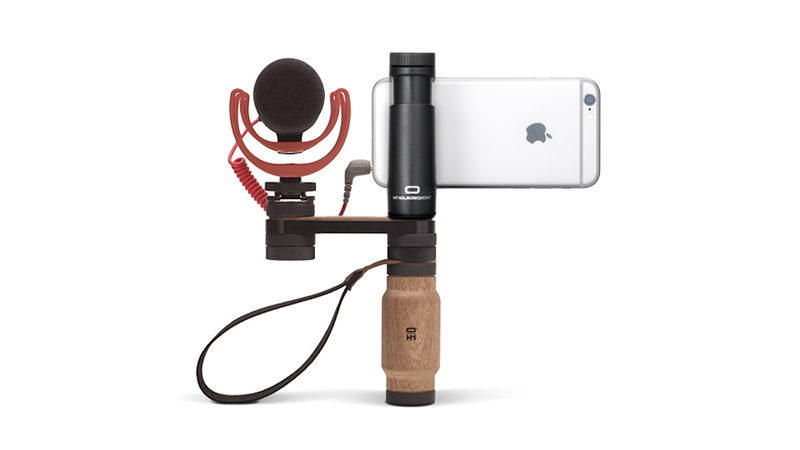 Add one accessory like a microphone, light, action camera or extra battery to your mobile device. Use the included plate, knobs, cold shoe, handle and wrist strap for building your own setup in just a few seconds and hold it comfortably and securely for obtaining super-stable results. All parts include a standard 1/4"-20 thread, so you can mount your final setup on any tripod, slider or gimbal at anytime. No tools required. 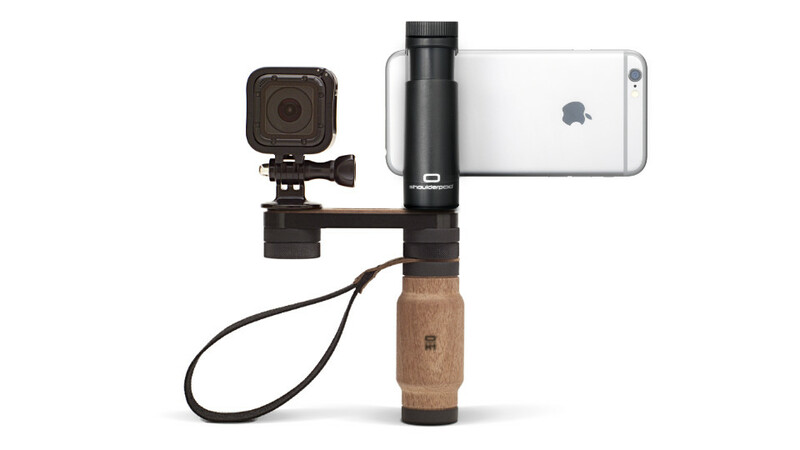 The Shoulderpod platform has been designed as a modular system. Start with one of our basic configurations and grow from there with additional parts and accessories. When travelling select only the parts you need and avoid carrying that heavy backpack full of unnecessary gear. Misplaced a part? No worries! We don't like a world where products are designed to become useless after a short period of time. That's why we offer replacements of most of our basic parts. Please contact us and let us know what you need.